When is a Root Canal in Patchogue Necessary? It starts off as the slightest twinge when you eat or drink cold foods or beverages, but you really don’t think twice about it because it goes away so quickly. Next, you experience a longer, more persistent twinge, but it still goes away when you take ibuprofen, no big deal, right? The next thing you know, your tooth is waking you up at night with a pretty severe ache, and your dentist is talking about root canal therapy. When is a root canal in Patchogue necessary? When the nerve of your tooth becomes decayed, injured, or infected, you may need root canal therapy in Patchogue. One of our highly skilled doctors will remove the infected tissue through a small access in the top of your tooth. Once the infection is cleaned out, we’ll seal your tooth and allow it time to heal. After it’s healed we’ll build your tooth up with either a permanent filling or a dental crown, since it’s not as strong as it once was prior to root canal therapy. Root canals are probably the most misunderstood dental treatment, as they’ve received a bad reputation for being painful. We’re here to set the record straight! Did you know that a root canal actually relieves your pain? It’s the decay or infection that causes your pain, and root canal therapy not only relieves your pain, it also preserves your tooth. Our team of doctors is highly skilled and gentle, and dental anesthetics will ensure that you don’t feel anything during your procedure. You may need an antibiotic after root canal therapy to help alleviate infection and get you back on the path to wellness. Most patients are pleasantly surprised at how easy and comfortable root canal therapy can be. 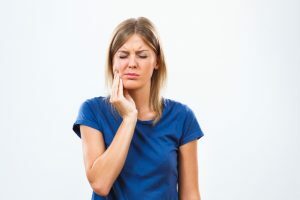 If you’re experiencing dental pain or sensitivity, now is the time to be proactive and call East Islip Dental Care. If your decay or fracture is detected early on, you may be able to repair your tooth with a less invasive dental filling. Decay or infection that’s left untreated however, will eventually lead to tooth loss. We encourage you to contact our office to discuss your symptoms so we can quickly diagnose your condition and get you back on the path to wellness. Comments Off on When is a Root Canal in Patchogue Necessary?